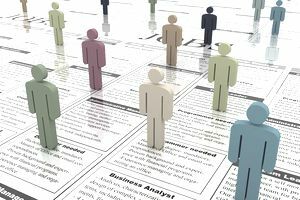 Look at enough job advertisements, and you'll grow familiar with a set of commonly used buzzwords. Are you a "self-starter"? A "ninja"? Are you "dynamic" and "detail-oriented," with "a good sense of humor" and an ability to "multitask"? The jargon can begin to melt together and seem meaningless. These phrases are repeated so frequently because it's hard to encapsulate a job, company, and desired qualities of an employee in a short space. But don't dismiss buzzy keywords just because of overuse – the words and phrases in job ads can provide much insight into the role, culture, expectations, and company. Review this A to Z list of frequently mentioned job post jargon to help decode what the phrases mean, why they were included, and how to tailor your application and interview answers to fit. Communication skills: Very often written as "strong communication skills," including this phrase means the job requires interpersonal skills, and the ability to speak and write clearly. You might want to emphasize responsibilities that involve working directly with clients or experience with presentations. Competitive salary: Putting this on a listing is an indication that the company is aware of the salary range for this position, and the salary will fall within the market range. It's up to you to know the salary range, too, so that you can negotiate well. Use these salary negotiation strategies to ensure you get the best possible offer. Detail-oriented: From sending an email without typos, to managing the details of a complicated event, detail-oriented people check, and then double-check to ensure an error-free, flawless execution of any task. Highlight organizational responsibilities, such as planning an event, creating a schedule or calendar, or overseeing a project. Your application and behavior at the job interview can provide a firsthand demonstration of your ability to manage details. Follow all application instructions carefully; have a flawless, typo-free resume and cover letter; at your interview, show up on time, with adequate copies of your resume and a professional demeanor. Dynamic: Think of this as an updated version of "shows initiative" – dynamic employees take on responsibilities beyond their job description. They're confident, can think independently, and are comfortable acting as a leader in projects and teams. Show that you're a dynamic employee by emphasizing ways you've gone beyond your job description and examples of leadership. Fast-paced: Do you do well with last-minute work, unexpected fire drill assignments, unplanned late hours, and multiple deadlines? Use of this word in a job description can imply long hours. It may also indicate a company in flux, or prone to unexpected changes in direction. Be ready in the interview with examples of how you've managed multiple projects or responded to a last-minute change to impress interviewers. Flexible: Or sometimes "no job too small" or "willing to pitch in" – these kinds of keywords indicate a company that may have a very flat organization. Don't expect to have someone printing out documents for you; in a flexible work environment, workers are often expected to solve their own problems. Note too that this can indicate a need to switch gears quickly, work unexpected hours (such as nights and weekends) to get the job done, and be able to do things outside of the job description. At a lower level, this could also indicate that you'll be asked to do rather menial work (picking up coffee; dropping off dry cleaning). Growth opportunity: This could indicate a few things, from a low salary to high turnover at the job. A position with a "high potential for growth" is likely something you won't stay at long – which could mean that you'll be promoted to a better role, or that the job is so onerous that no one stays in the spot for very long. Tip: in your interview, inquire about the people who previously held the role. Ninja: Most commonly seen in start-up and tech job descriptions, ninjas – or gurus and wizards – are an updated version of "passionate" employees. Companies use this word to show that they're looking for a superstar – the best of the best – and also to convey that the environment in the office is young, fun, and energetic. Don't use this word to describe yourself; it'll seem overly self-congratulatory. Be aware that use of these types of words in job postings can indicate the writer isn't certain how to describe the role, and may also be a hint that the job will require long hours and burn-out. Passionate: Use of this word in a job description indicates that employees are expected to do more than punch in and out; the company wants employees who are enthused about the work involved, the industry, and the company. No complainers or clock-watchers wanted! This word is particularly common in not-for-profit and technology job listings. Carefully research the company before writing your cover letter and interviewing; this will help you seem engaged with the business and role. Results-oriented: Did you save your company money in your last position? Eliminate an inefficiency? Participate in an award-winning project? Use this keyword as an excuse to trot out some of your accomplishments in your cover letter (and interview, if you get one); including this phrase means the company is interested in candidates who save money, staff time, increase sales, or whatever the desired outcome in the job's industry. Self-starter: Expect a position that won't involve a lot of handholding, weekly meetings with supervisors, or set check-ins. Highlight times you've worked independently. If you are someone that likes to ask a lot of questions or requires feedback and affirmation, this might not be a good role for you. And, if the role requires a lot of work that's new to you, this might not be a good fit – you'll be setting yourself up for failure if you take on a position with unfamiliar responsibilities that doesn't provide training or supervision. Team player: This common job advertisement phrase indicates that the company is more interested in results than in who did what. Emphasize your ability to work well with others, and your strengths at brainstorming and collaborating. You may want to speak from the "we" instead of the "I" while answering some questions during an interview. As you can see, there is much valuable information hidden behind the hackneyed words and phrases dominating job ads. As you plan your cover letter and prep for an interview, keep this writer's adage in mind: Show, don’t tell. Look for ways to demonstrate times you've embodied the qualities detailed in these phrases. Rather than describing yourself as "a self-starter," describe a time you handled a project independently.